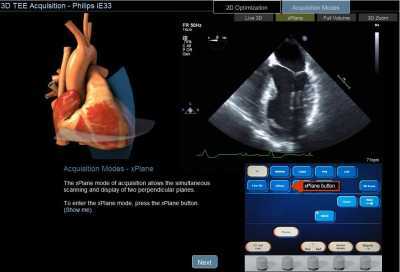 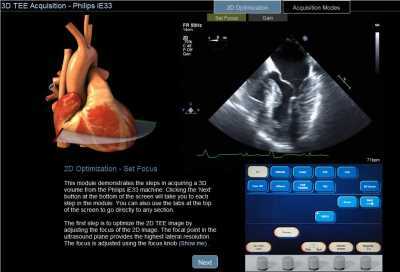 This module is intended to assist trainees in learning to acquire and manipulate 3D TEE images. This module covers the steps in acquiring 3D TEE images using the Philips iE33, the Philips Epiq 7 and the GE Vivid E9 ultrasound machines. 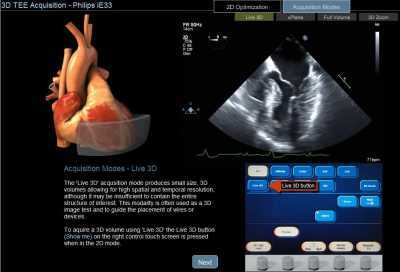 This will be followed with video tutorials illustrating the process of image manipulation and measurements that can be carried out with 3D TEE images. Click here to open the Acquisition and Manipulation of 3D TEE application.